The Magic Castle is the perfect addition to any celebration. 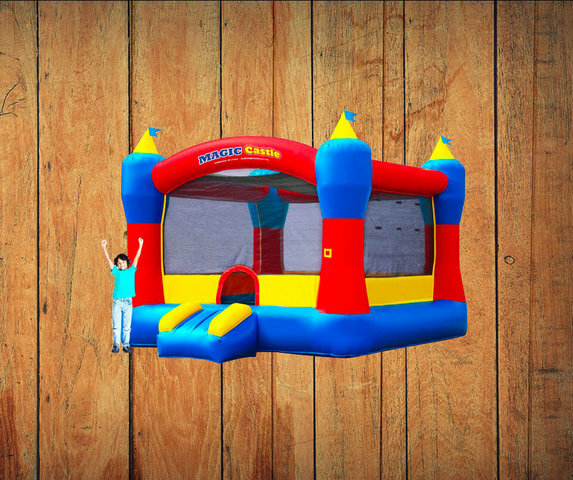 This castle-themed moonwalk has a 15 x 15 bounce floor, is the most popular size for birthday parties and is appealing to players of all ages. A retractable roof is included to help your guests avoid the sunny days, keeping this bouncer at the center of the party!